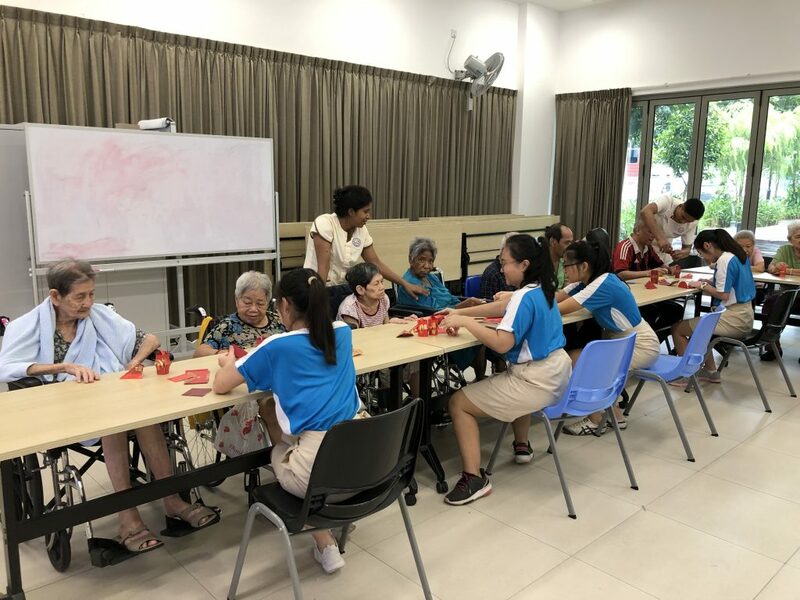 THK Nursing Home and Nanyang Junior College collaborated on a one-year volunteer programme for NYJC Interact Club students to visit our Nursing Home to engage with our residents in various activities planned by the students. The programme scheduled every Wednesday from 3.00pm to 4.30pm except during school holidays and examinations periods. 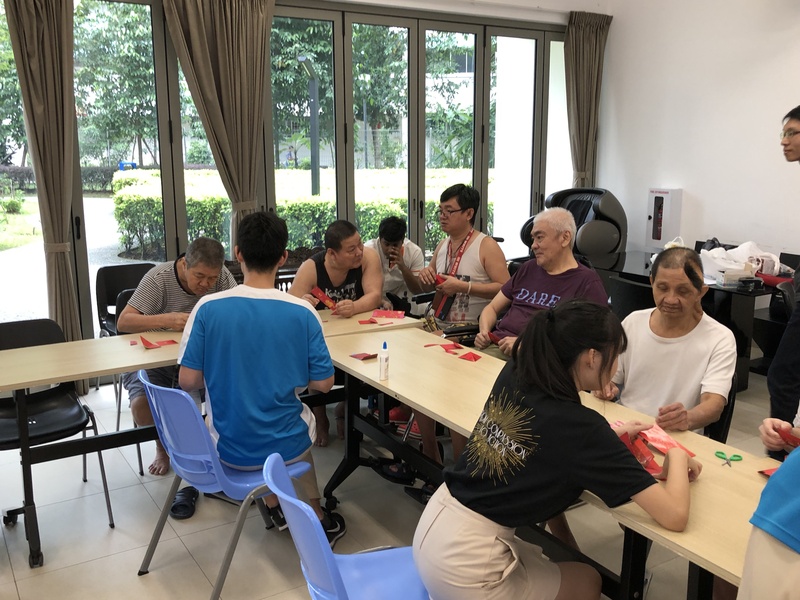 The first session started on 16th January with students teaching residents to create Chinese New Year Lanterns with red packets and guess the song. 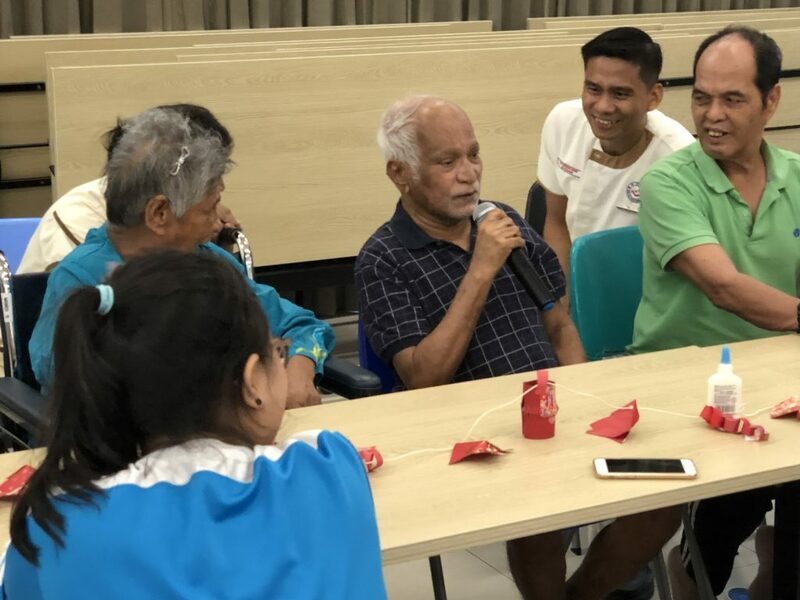 The residents enjoyed both activities. The next session will be held on 30th January.